Buster LX + Mercury 60EFI to rent. Boat has Navi-, Comfort- and Canvas-packages that includes chartplotter with sonar guide, cushioned seats and aft canvas to protect in bad weather. 68 m2 + 28m2 porch, 6 persons. Log cabin or Hirsitupa as we call it has been renovated few years ago and with two separate bedrooms and wc it now fullfills the needs of most of our customers. In addition to cottage there is also shed with beds for two persons and a separate barbecue place. Get to know our cottages! 75 m2 + 25 m2 porch, 6-8 persons. (Living room, kitchen, three bedrooms, toilet, sauna and washroom.) Pine slope or Käpyrinne as we call it was built in 2000. It´s located on slope plot only 30 meters from lake. 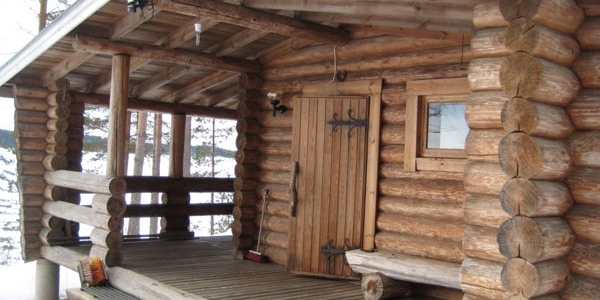 It´s a high level cottage offering all comforts you need in beautiful finnish nature. Right beside the cottage You´ll find the barbecue cabin where You can test Your cooking skills. 42 m2 + terrace and new separate 36m2 sauna cottage, 6 persons Forestslope or Metsärinne as we call it is located on the shore of lake Suontee. Old cabin has just been renovated with two separate bedrooms, wc and shower. New additional sauna cottage offers high quality sauna experience and totally 36 m2 additional space. There is also a barbecue shed for grilling and a rowboat. The cabin is alone in beautiful peaceful finnish nature.